The Anzac Memorial in Sydney’s Hyde Park was originally built to honour the servicemen and women who lost their lives in the Great War. Today, it is NSW’s principal memorial to all Australians who have served. 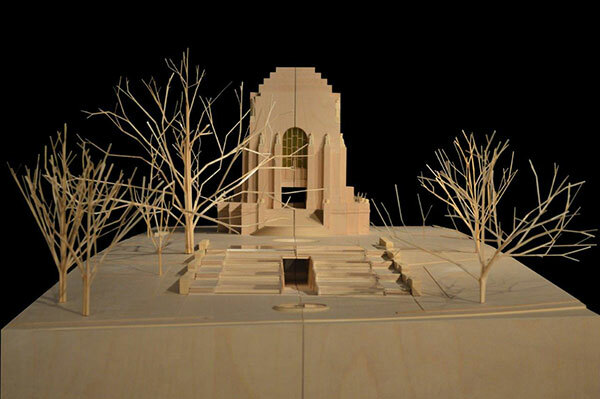 To commemorate the Centenary of Anzac, the Anzac Memorial Trustees have a vision to promote and enhance the Memorial by providing a place to educate future generations about the Anzac spirit. The Project has been designed by distinguished architecture practice Johnson Pilton Walker, in collaboration with the NSW Government Architect’s Office. 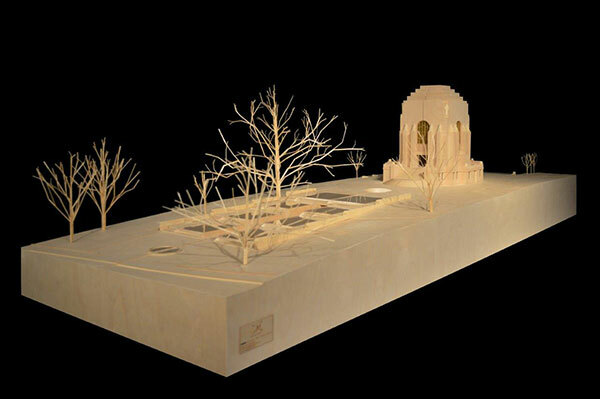 The Centenary Project’s design draws from the existing Memorial spaces. A new forecourt at Hyde Park’s Liverpool Street entrance will allow for equitable access to both the park, as envisaged by Dellit, and new underground education and interpretation facilities. 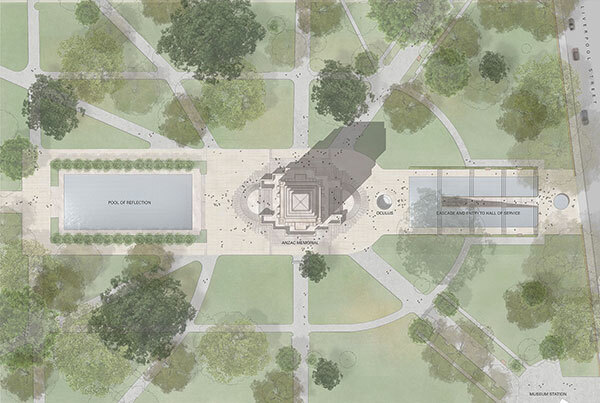 Memorial visitors will enter the new ‘Hall of Service’ via a walkway through a symbolic water cascade. 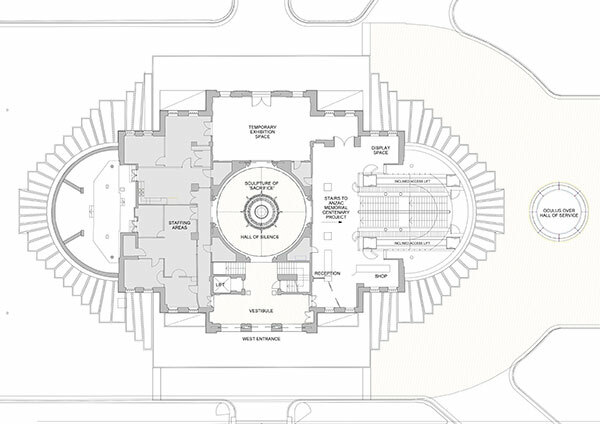 The Hall will function as a greeting and orientation space for the public, including tour groups and school children; and as a venue for ceremonies and functions, flowing onto exhibition galleries and education facilities. 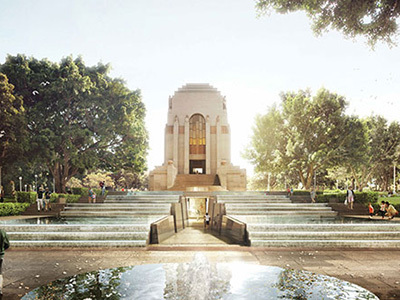 On the northern edge of the Hall of Service, opposite the walkway, a set of stairs and travellators will take visitors up to the ground floor of the Anzac Memorial and the Hall of Silence, where the sculpture Sacrifice stands. 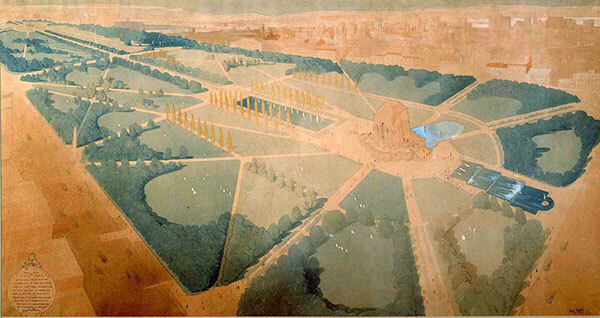 An oculus, an architectural reference to the Well of Contemplation in the existing Hall of Memory, will be centred above the Hall of Service with a view out to the Memorial exterior. These new spaces will be finished with high-quality materials: contemporary equivalents of the noble and honest materials used for the original building. The refurbishment of the existing Memorial ground floor and basement areas will restore original layouts where possible in respect for the significant heritage of the Memorial.